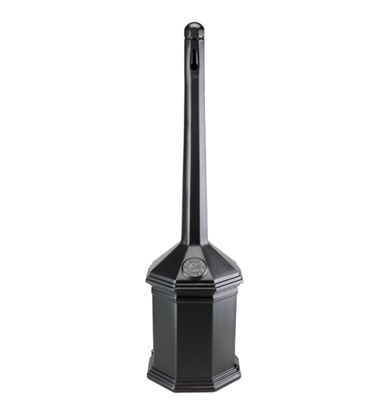 This steel trash can features an ashtray dome top and a 25 gallon capacity. 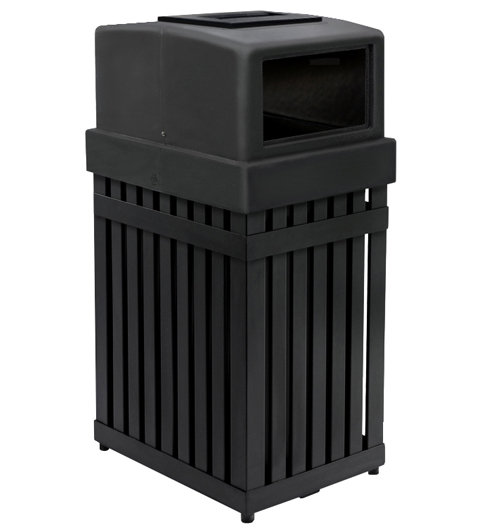 This commercial grade trash can features a lid made of polyethylene that will not rust or chip. 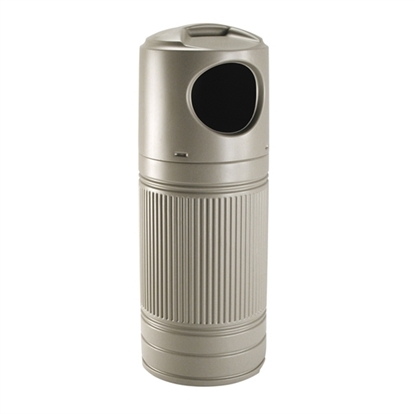 Includes a black powder coated liner with built in handles and grab bag system. Ashtray secures in place with clips for safety.